So, it's on to the next project!! And this one is a bit different than what we've done before. 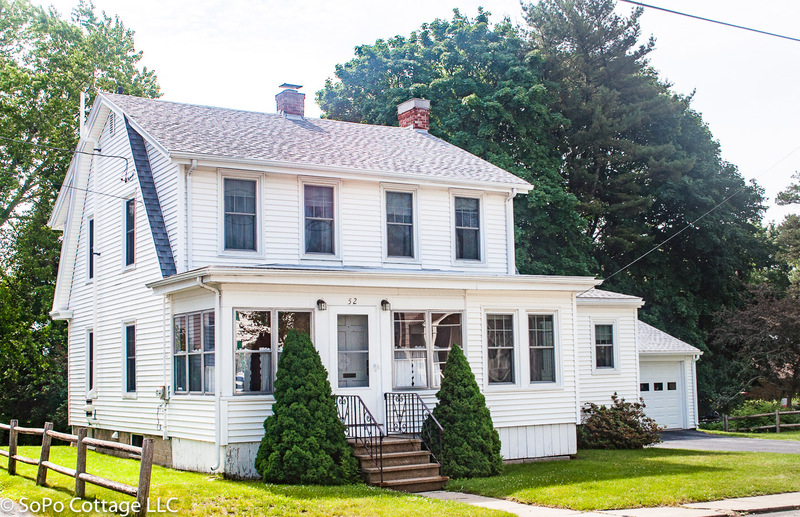 Doesn't this look like a quintessential American farmhouse? The records show it was built in 1925 and it's on an unusually large lot, making me wonder if it was the original farmhouse for the area. Most of the surrounding houses appear to have been built in the 1930's, long after this one was finished. 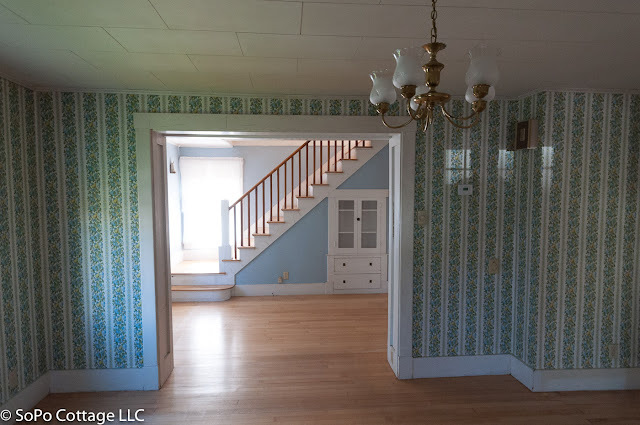 And the farmhouse styling is evident on the interior as well. 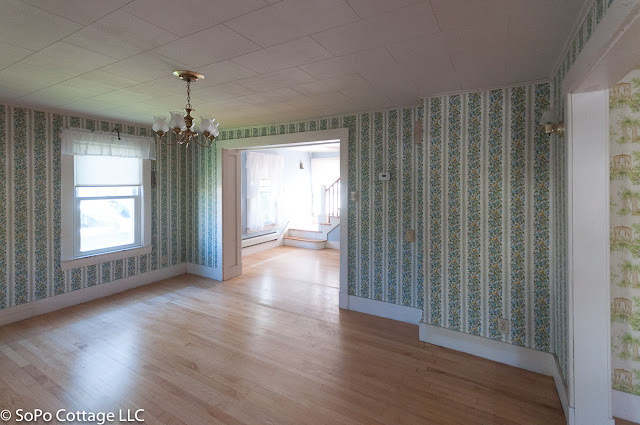 The moldings are very simple - 1x4 boards, with no ornamentation. 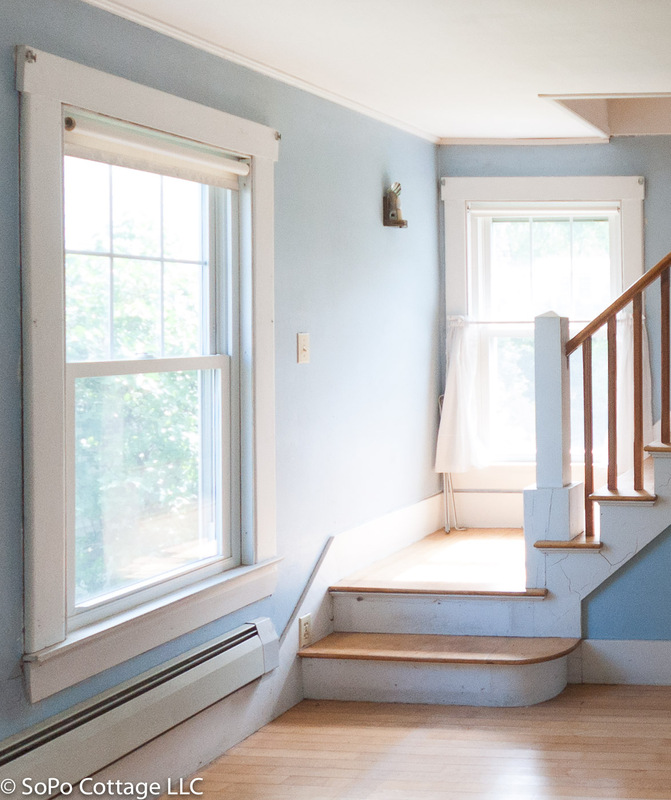 The newel post and balusters are equally simple. 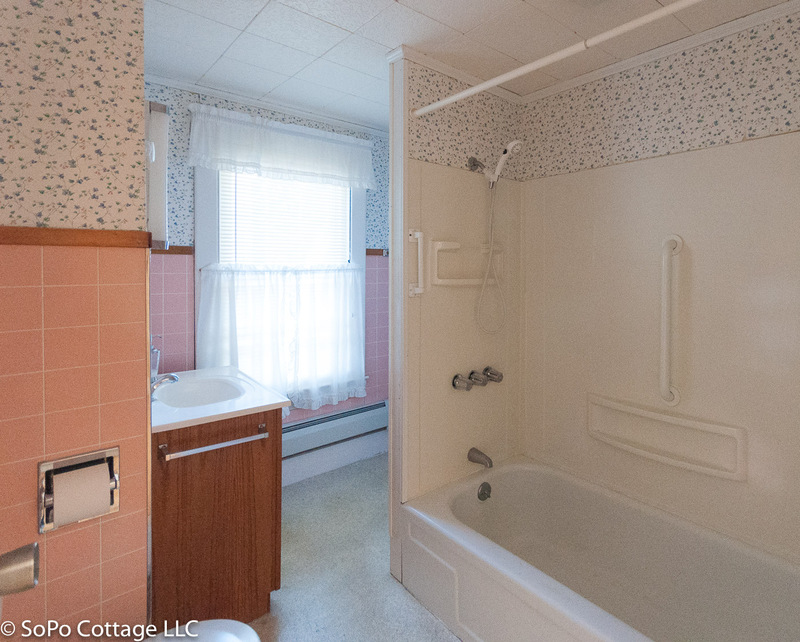 It's been meticulously maintained and has only had a few owners in almost 100 years. 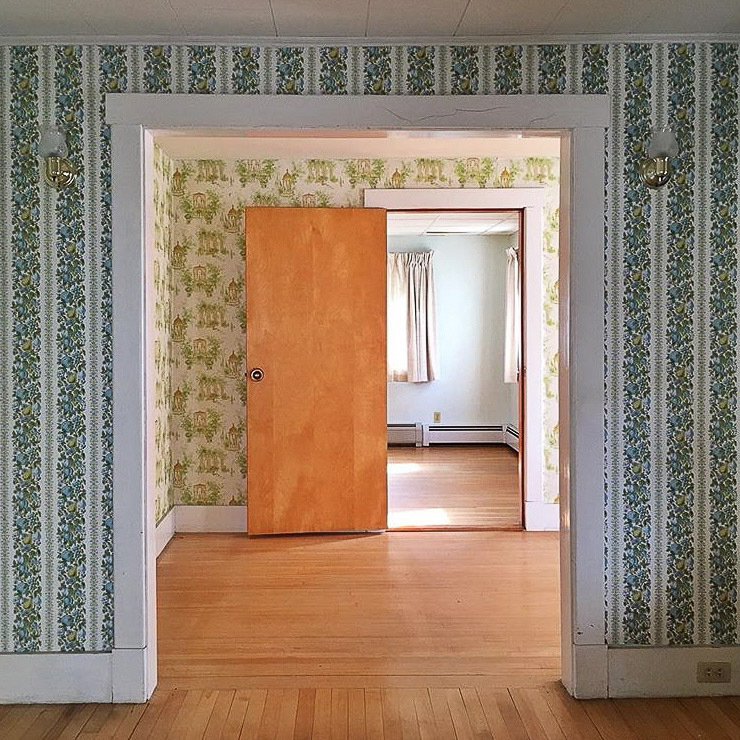 And this house has a warm, comforting 'vibe' that everyone seems to notice. Maybe it's because it was so well loved over the years, maybe it's the sunshine that comes streaming through the windows, but it's a really welcoming home. 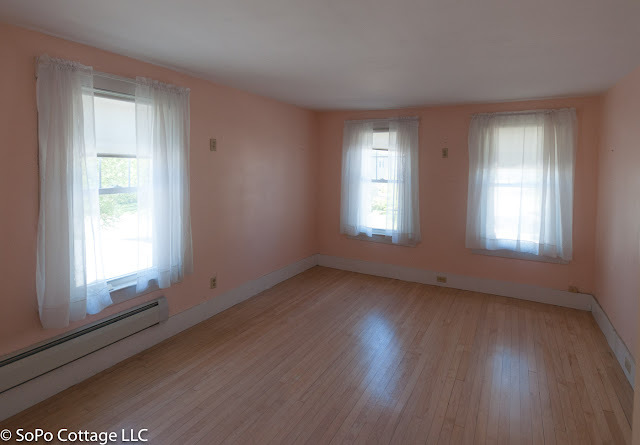 1) Potential - This place has a LOT of rooms. And that means a lot of walls. Seriously, for someone that likes to open up walls to create large living spaces, well, it doesn't get much better than this! I'm so excited about the potential in this place! It's going to be amazing! When you walk through the front door, you find yourself in the front porch. 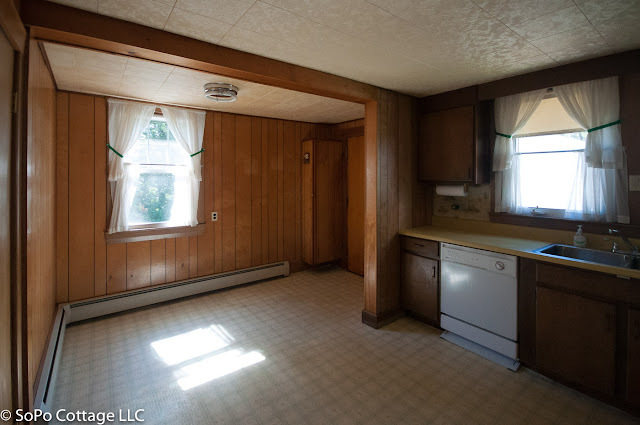 My guess is this used to be an open porch, but it's been closed up with lots of windows and knotty pine paneling. Once you walk through the door at the end of the hall, you find yourself in a very large foyer. 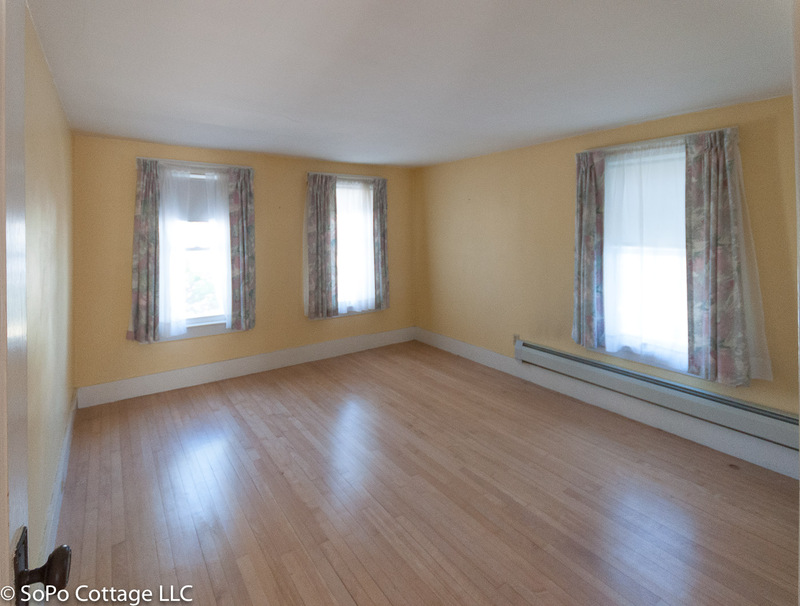 It has a big closet at the end of the room, flanked by the living room and dining room. The living room appears to have been an addition at some point in time. 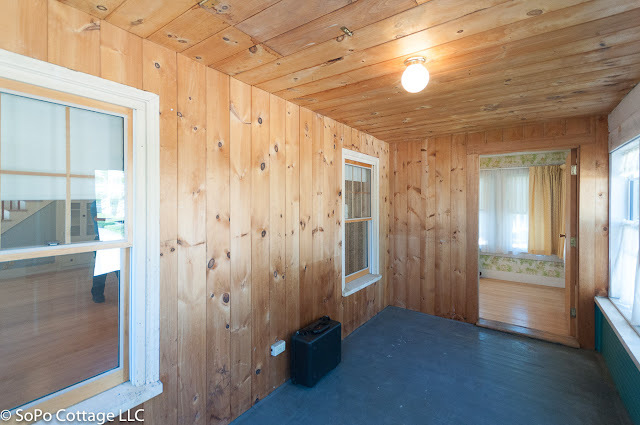 It has lots of windows and a wood stove. 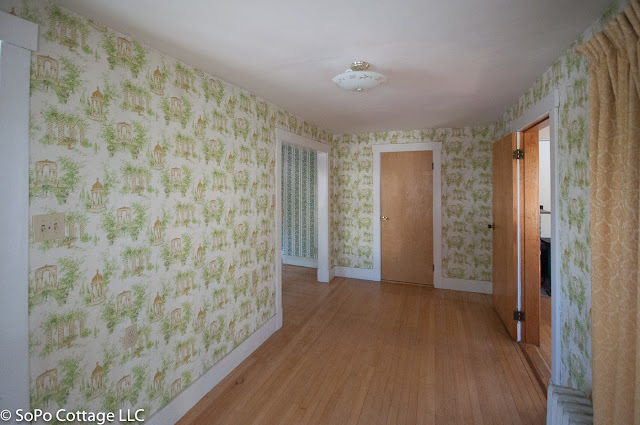 The dining room is really large, with wallpaper that I swear my mother had when I was growing up. It's a bit dark, which is typical when you have a full porch on the front of the house. Don't you love the little hutch built in under the stairs? The dining room leads to a narrow room that I don't quite know what to name. It's not big enough for a table, but it has the staircase to go upstairs, so I've nicknamed it the staircase room. And it has a very cool little built in china cabinet. Isn't it adorable??? 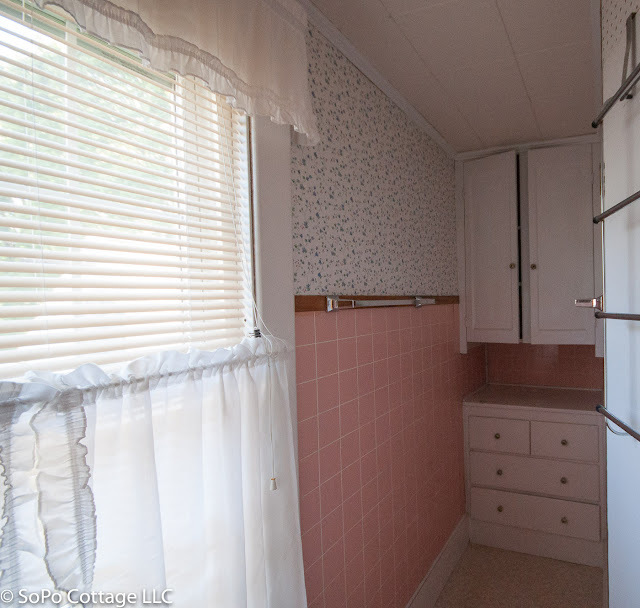 I'm guessing the kitchen was updated in the 70's. Everything has been very well maintained, but it's certainly time for an update! 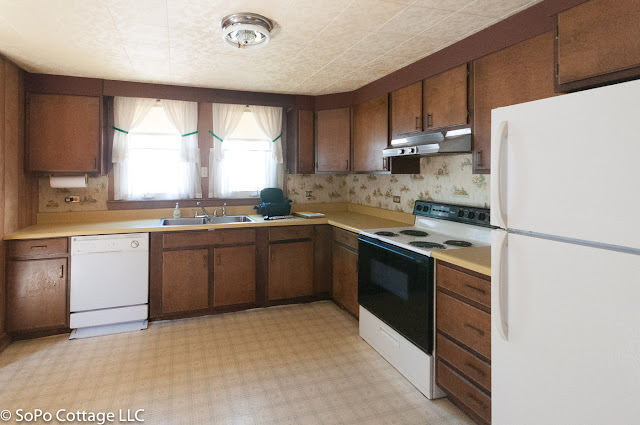 There is this extra space in the back of the kitchen that leads to the back door. 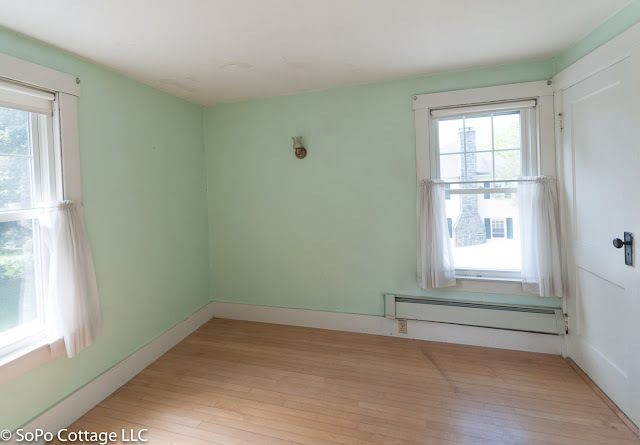 I'm guessing some sort of mudroom? And see that window, that's the only view to the backyard. We need to change that! 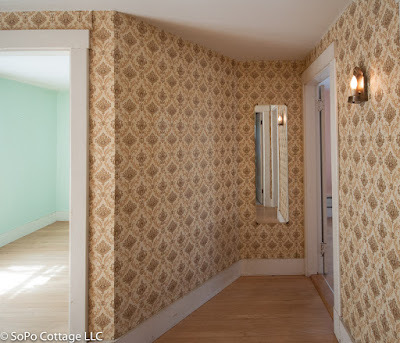 Upstairs, we have more wallpaper - yikes! But aren't the funky angles kind of cool? Seems like a very modern layout for 1925! There are three bedrooms and all of them have windows on two sides, which I really love for capturing a cross breeze in the summertime. This is the largest of the bedrooms. Plenty of room for a queen or king sized bed. And this room is large as well. The third bedroom is a bit smaller, in part because of the funky angled wall (off to the right of the closet door). But it's still fine for a twin bed and a dresser. The bathroom is interesting. The front of it is pretty typical (and yup, it's pink!!! Deja vu! ), but as you turn the corner, you discover a long hall with a built in chest at the back. Unique!! And the house has a large, dry basement that has had the walls insulated. 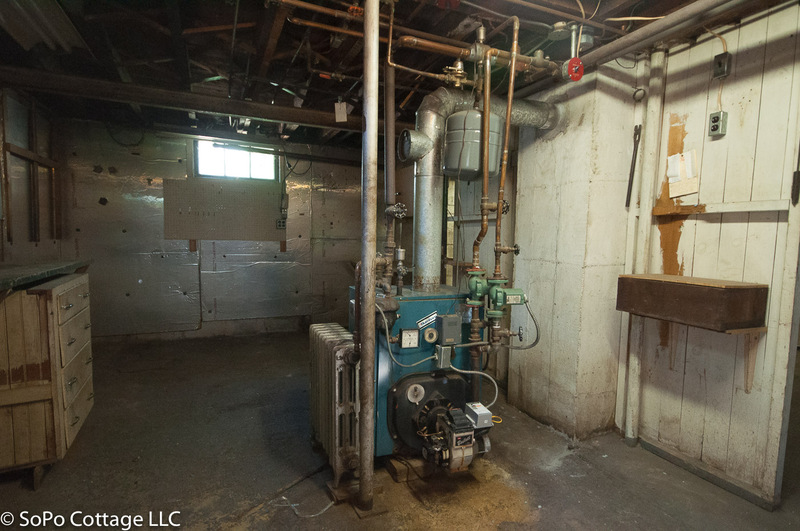 The boiler has certainly been a champ and could use an update, but I want to investigate changing to gas. 2) Privacy - this house has a really large, private backyard (with a big lilac tree in the middle). That is so rare in this area, where most homes are on one tenth of an acre. But unfortunately, with the current design, you really don't notice the nice backyard from inside the house. So, I'm planning to add french doors to a large deck that will maximize the views to the yard. 3) 2 Car Garage - If I had to guess, I'd say less than 10% of the homes in this area have a 2 car garage (the vast majority don't have any garage!). And when you live in Maine with our snowy winters - well that's a big deal!!! 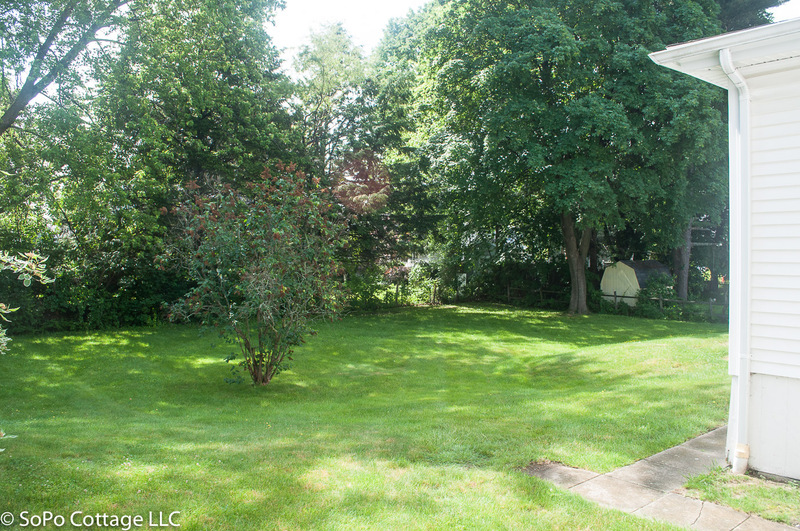 Not to mention a big driveway that would be perfect for a basketball hoop (when it's not snowing). Wallpaper - seriously I'm going to be working overtime to remove all the wallpaper! And as many of you know, that can be a pretty miserable task. But it really doesn't fit into my design scheme! But I love pretty much everything else. The original maple floors are in great shape and it's a good solid house. We started working on it a few weeks ago. So I've been taking a lot of photos and will try to catch you up on our progress. This one is going to be fun! Are you following on Facebook or Instagram? I share a lot of photos there as well! So glad you're joining to watch it unfold! 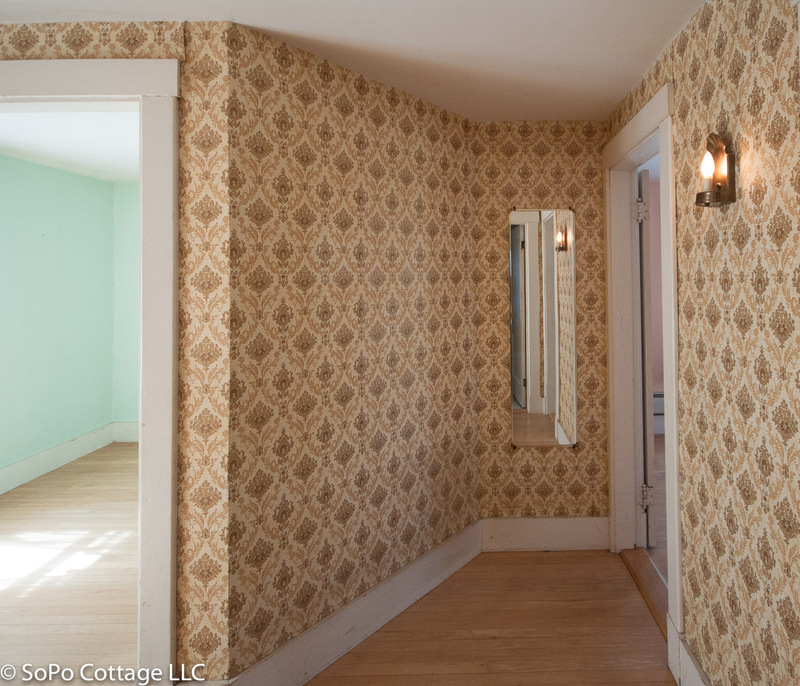 I'm in love with that wallpaper in the foyer. 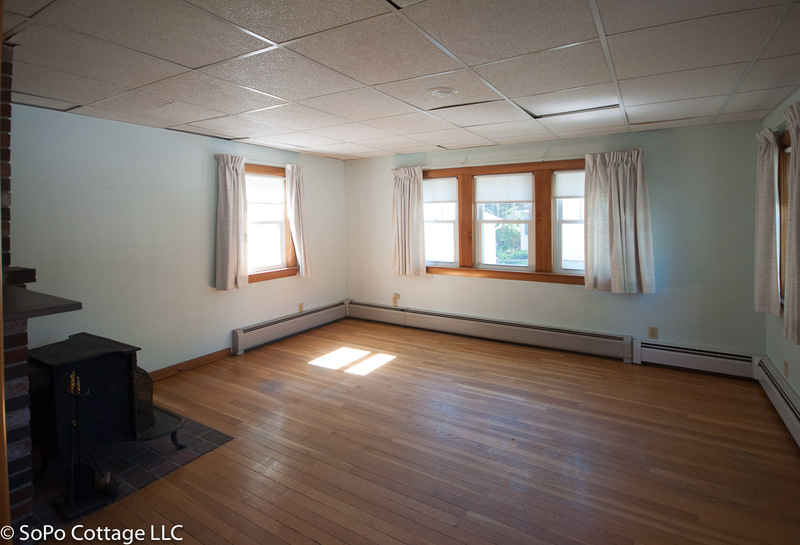 This looks like a great blank slate, I can't wait to see what you do with it! This one is going to be a lot of fun to watch you design. 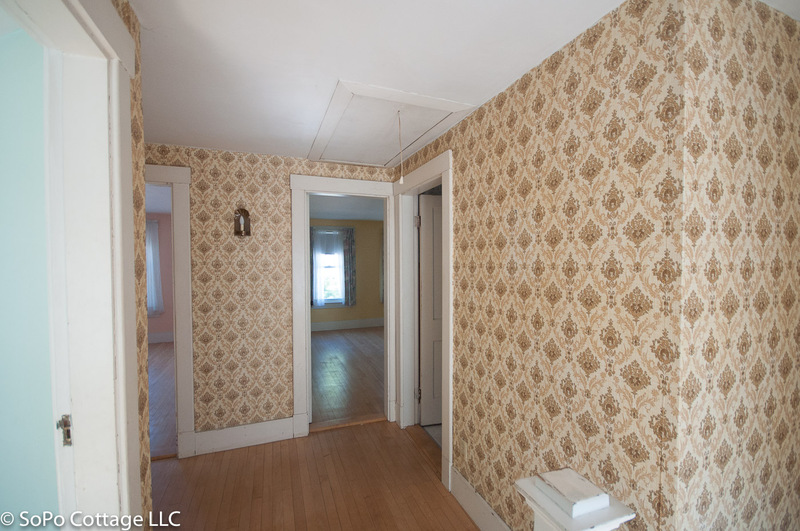 Maybe the front door used to go into the room with the stairs? I think that little area of the kitchen by the back door was a breakfast nook...pretty common in that era. My in-laws had a house of that era with a breakfast nook, except there was a wall dividing the table area from the back door, and the table area also had an arch between it and the kitchen. I just know you will open up that porch. Love the property too. Love it and can hardly wait. When is your finish date. Coming down from NS in Sept.
it definitely has great bones! I can't wait to see the finished project! Looks like there is another built in cabinet in the wall opposite the little china cabinet in the stairway room. Also don't like the heat registers in some of the rooms above the baseboards, have never seen that before. This is going to be so much fun to watch come together. Wish I lived in SoPo so I could actually see one of your projects in person but I'm afraid ND is a bit too far away. This is going to be fun seeing this charming house get redressed like Cinderella! Looks like you've got another terrific project going! 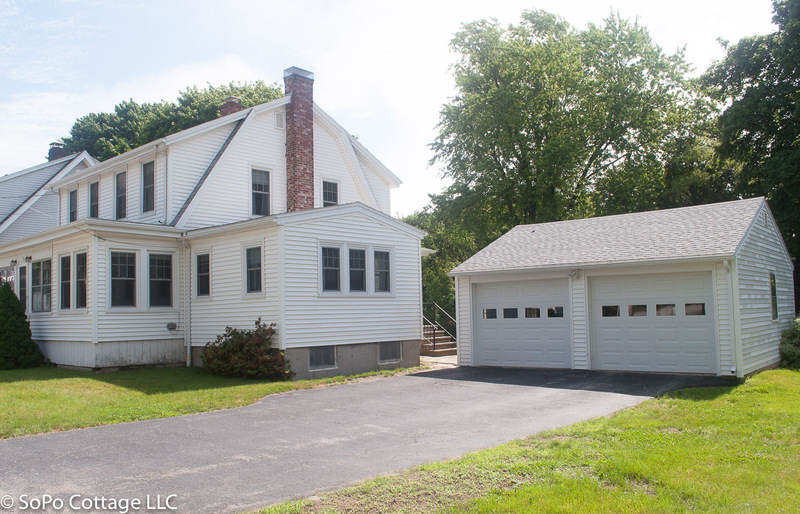 Have you thought about opening up that closed-in front porch? I think it would add a lot of charm to the front of the house. And provide a great place to sit & watch the world go by on a nice Summer evening! 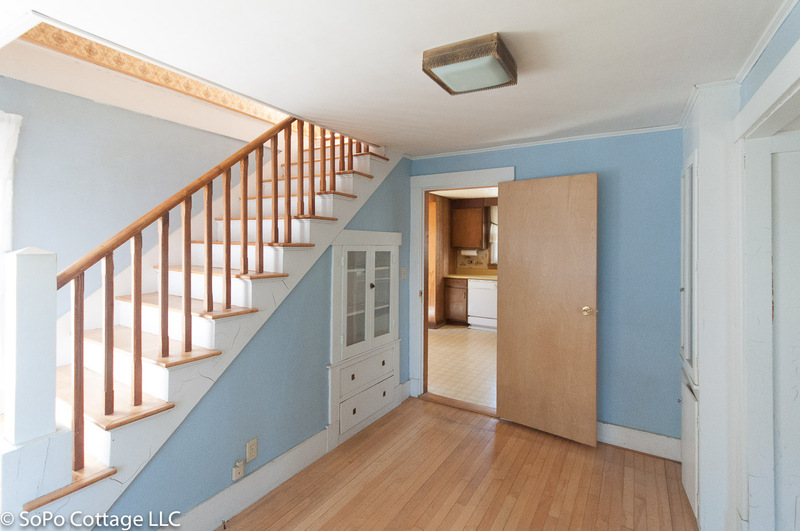 Is it possible the staircase room used to be a foyer before the living room addition was added on? Sure looks like a foyer. Do you have a floor plan? LOVE this one, although I say that every time. Can't wait to see what you do with it. Was it originally this exact exterior/interior? It looks like huge dormer walls (for lack of a better term) were added to a gambrel roof at some point from the side view. Just curious! 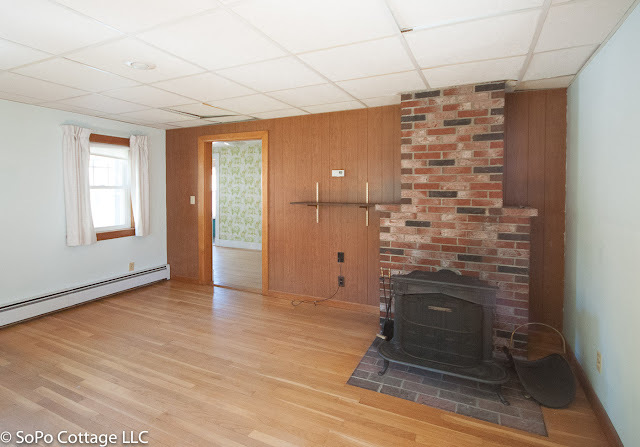 It's a neat house and that built in china cabinet is fantastic. 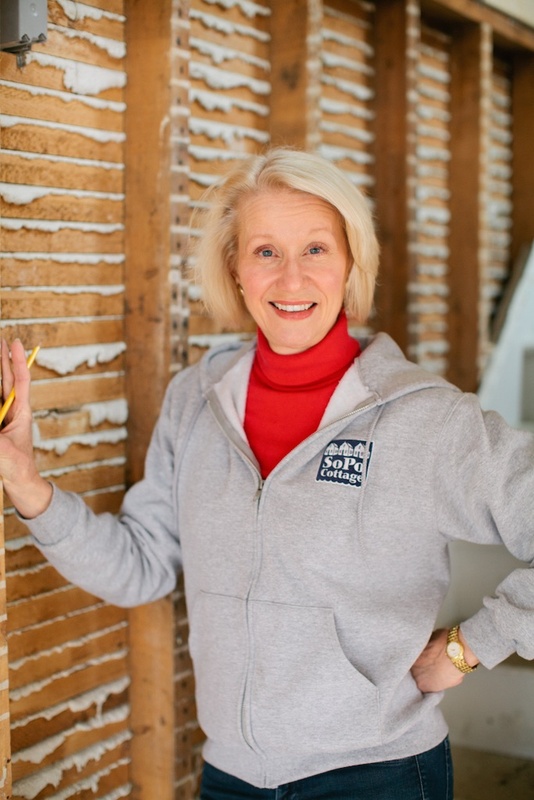 Farmhouse Demo Days - Knock Down Those Walls! !